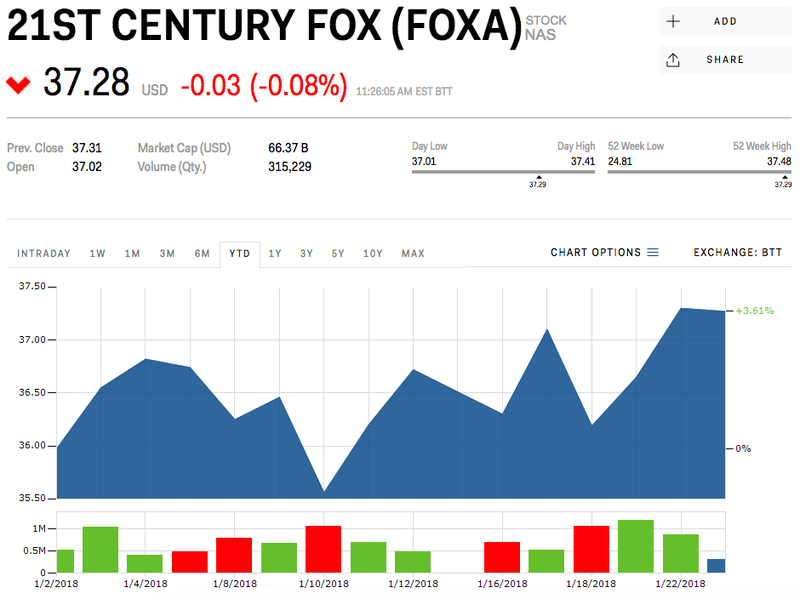 21st Century Fox‘s stock was flat on Tuesday morning after a UK regulator raised concerns over Fox’s takeover bid of British satellite company, Sky. The UK’s Competition and Markets Authority (CMA) recommended that the government provisionally block the Fox-Sky deal because they feared media mogul Rupert Murdoch and his family had an outsized influence over British media. The regulator’s final report on the Fox-Sky deal will be released in May. Watch 21st Century Fox’s stock move in real time here.